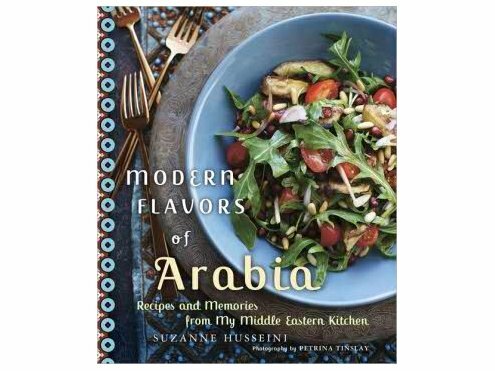 Modern Flavors of Arabia� by Suzanne Husseini is a wonderful cookbook, chock full of easy to follow recipes that introduce you to the spices and the aromas you love about middle eastern food. Arabia generally refers to the regions of Eastern Mediterranean, North Africa and the Middle East. This cookbook has gone everywhere with me since I first received it one month ago. My goal was to master 4 new recipes, utilizing varying levels of skill and flavors. My first choice was hummus. Thanksgiving was coming, and I wanted to have appetizers that were healthy and easy to prepare. A quick read through the pages will give you an overview of what the book has to offer you, but for myself, I have always wanted to improve my ability to work with spices such as nutmeg, coriander, cumin, turmeric, ginger, cinnamon, allspice, and sumac, but never really knew how. I immediately made hummus, Roasted Cauliflower with Citrus Tahini Sauce, Cauliflower Fritters with Yogurt and Mint dip, Baba Gjanouj Salad and Sambousek, a simple, delicious cheese or meat filled pastry. 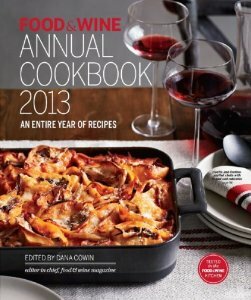 A great book to provide the latest in food and wine for 2013 from the staff or Food & Wine, jammed with great recipes and pairing suggestions to get you through the year. Available at Amazon. 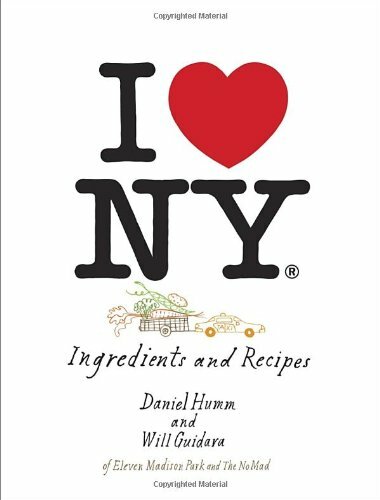 From the acclaimed team behind Manhattan's three-Michelin-starred Eleven Madison Park restaurant comes this deluxe cookbook showcasing the foods, ingredients, and culinary history of New York. After landing rave reviews for their transformation of Eleven Madison Park from a French brasserie into a fine dining restaurant, chef Daniel Humm and general manager Will Guidara decided to refashion Manhattan�s ultimate destination restaurant into a showcase for New York�s food artisans. Instead of looking abroad for inspiration, Humm and Guidara headed to their own backyards, exploring more than fifty farms in the greater New York area and diving into the city�s rich culinary heritage as a cultural melting pot. Amazon Best of Month.